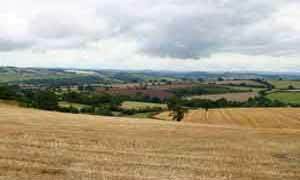 Shobrooke,East of Crediton,is a most popular centre for walkers. This short but very pleasant walk offers magnificent views and takes you into a very unspoilt part of Devon. It passes a splendid inn, the Red Lion,situated in Shobrooke. Paths are well maintained. A delightful country walk through orchards and along a golf course following part of the Devonshire Heartland Way. 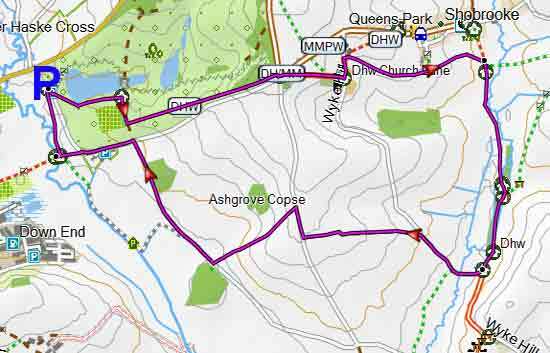 This pleasant walk (1 hr 40 minutes) explores a most peaceful landscape south of Shobrooke; it follows the calm river Creedy and returns along the lakes of Shobrooke Park. 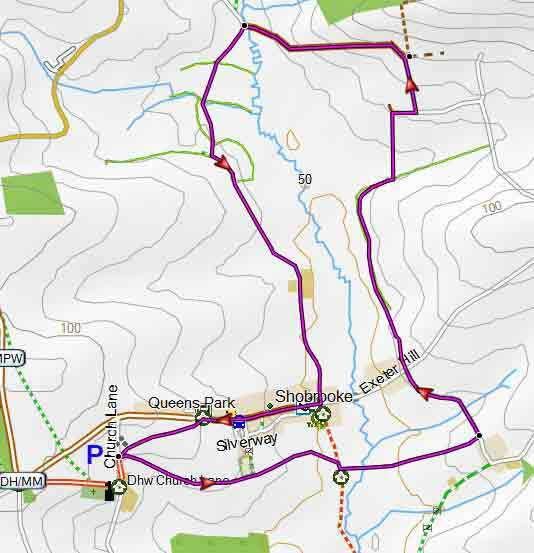 You can make a short diversion into Shobrooke and possibly the Red Lion ,there being no other pub en route.